When it comes to running, typically you’re in one of two categories: you love it or you hate it. (Okay fine, there’s the third option of a combined love-hate relationship.) Regardless of how you feel about it, one thing is for sure – the benefits of running far outweigh any woes. 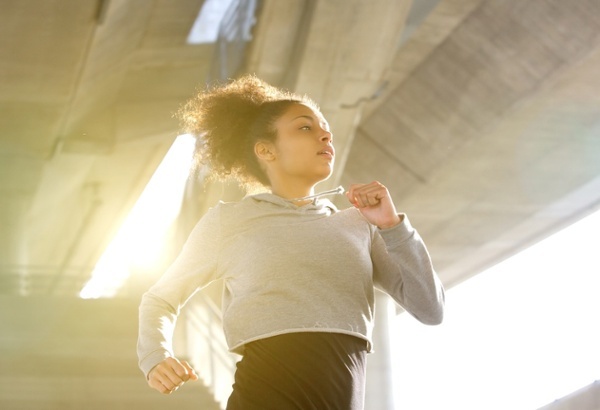 From weight loss to muscle tone and released endorphins to the post-run runner’s high, running is an extremely effective way to maintain a healthy lifestyle and hit your weight loss goals. Repeating maximum-intensity and short-duration exercises – aka sprint interval training or “SIT” – are just as effective as endurance and long-duration exercises, and actually improve aerobic performance. Include quicker and high-intensity running sessions (think: 4-6 reps of 30-second treadmill sprints) into your weekly running routine for SIT bliss. A few ways to guarantee a boost of fat-burning runs is to do the following runs and/or exercises at least once per week: a long run, high-intensity SIT (see Tip #1) or cross-training, and increase the frequency or amount of runs all together. Remember that your body craves variety. Continuously change up your running routine with SIT and fat-burning runs (see: Tips #1 and #2) to prevent your body from adapting and hitting the dreaded plateau. Certified strength and conditioning specialists recommend changing up two of the following categories every four to six weeks – frequency, intensity, time and type. On top of that, switching up your routine every workout will help maximize results.